The kitchen is the heart of the home. It's where meals and memories are made. Full bellies make happy bellies and I love to be the one to cook for my family, knowing I am contributing to a little bit of their happiness each day. For me, I think that homemade is always best because I know exactly what is going into every dish that I serve. I admit though, sometimes my cooking methods aren't always the healthiest option. Why is that? Because I love fried foods! I know, shame on me. Fried foods are bad for the heart and the waistline and don't fit in with my quest to serve my family the best meals that I can. 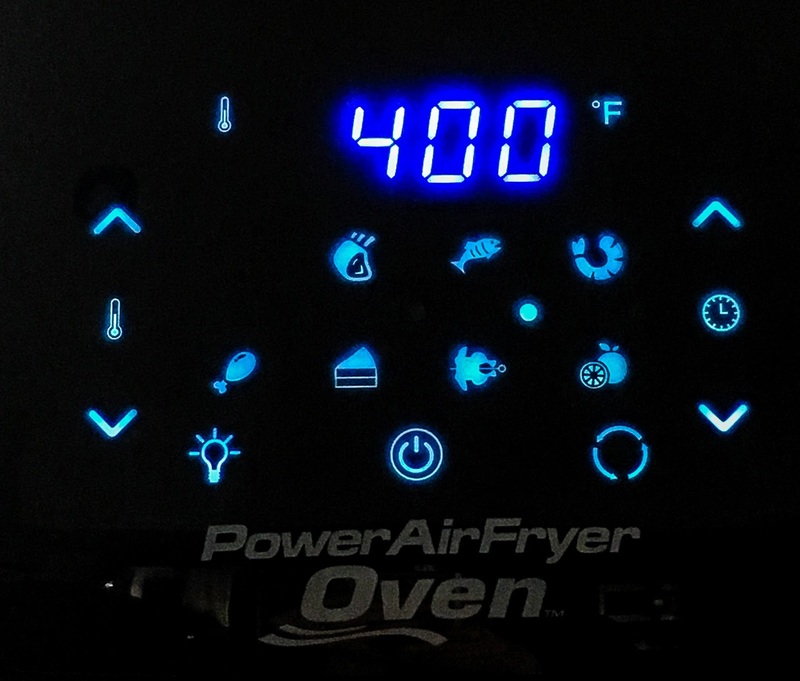 To remedy that, I have gotten a lot of use out of my Power Air Fryer XL™ that you may recall I reviewed last year. It really helped me cut down on the greasy foods by allowing me to air fry our favorite recipes without the oil. So, when I heard that they kicked it up a notch and now have a new unit, the Power AirFryer Oven, I knew it was going to be a must have for my kitchen. 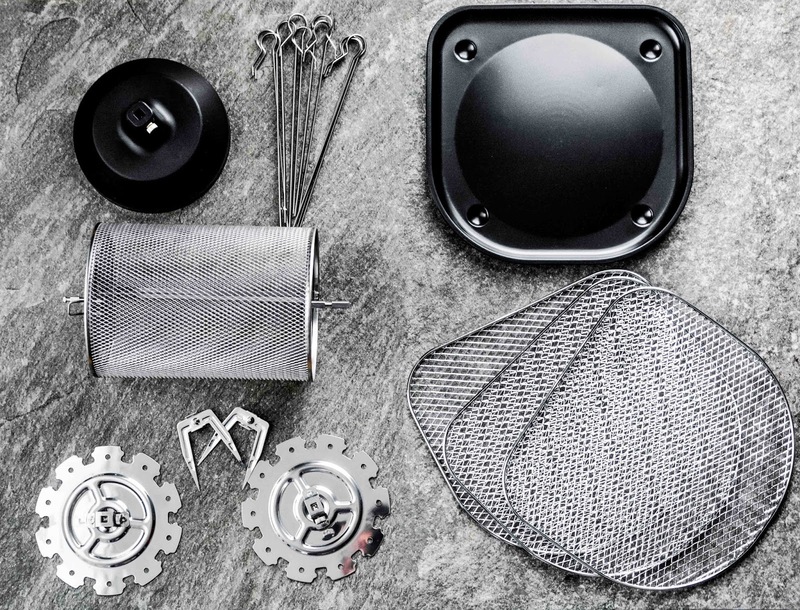 Additionally, all of these accessories come with the Power Air Fryer Oven so you can really make the most out of the unit. You actually get 5 of the Air Flow Racks plus a rack Fetch Tool, but I forgot to include them in the photo. 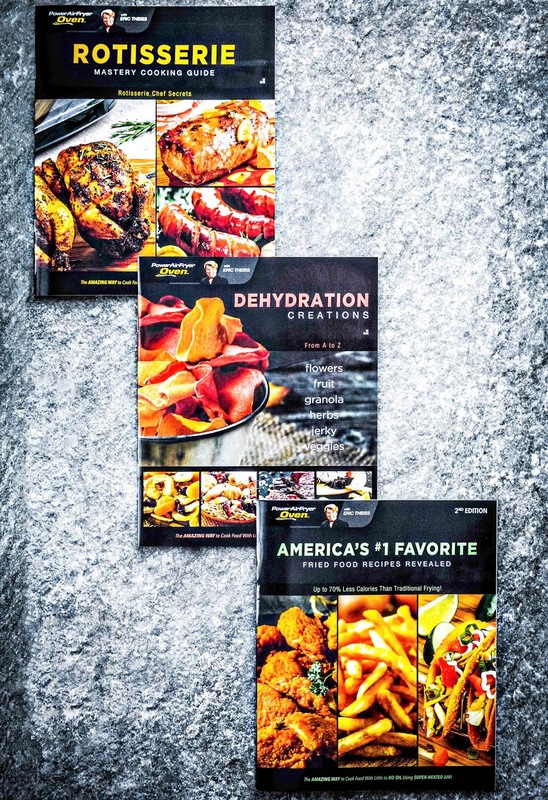 Also included, you receive 3 cookbooks full of delicious recipes to help get you familiar with using the Power AirFryer Oven. After trying just one recipe from each book, I already felt like I was a master Power AirFryer Oven user! Honestly, I haven't left my kitchen all week because I've been having a blast testing out so many of the recipes that I've found in the cookbooks. 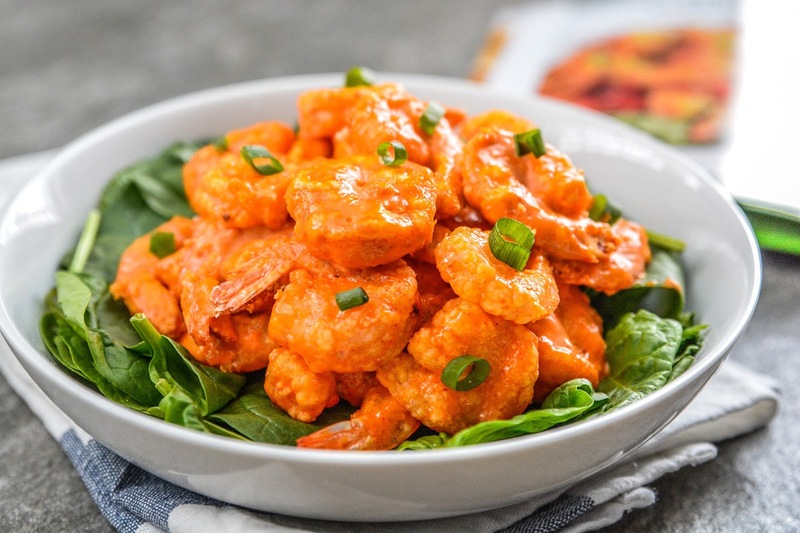 Jason loves the Bang Bang Shrimp from Bonefish Grill, so when I saw there was a similar recipe in one of the booklets, I decided it would be the first thing I would make with my new oven. I coated the shrimp, lined them up on the Air Flow Racks, pressed the fry button, and in 15 minutes dinner was done. Jason didn't eat the shrimp on a salad though. He's been trying to get me to make fish tacos for a long time, but since I don't do seafood, he's been without. He immediately loaded them into some tortilla shells and got his fish taco fix right in. Because he's not a whiz in the kitchen, and because he makes a mess every time he's in there, he relies on me to make most of his hot meals. However, this recipe was so simple to follow and the 8 one-touch presets take the guess work out meal cook times, even he can't screw it up. Now, he can now have his fish tacos whenever he wants. 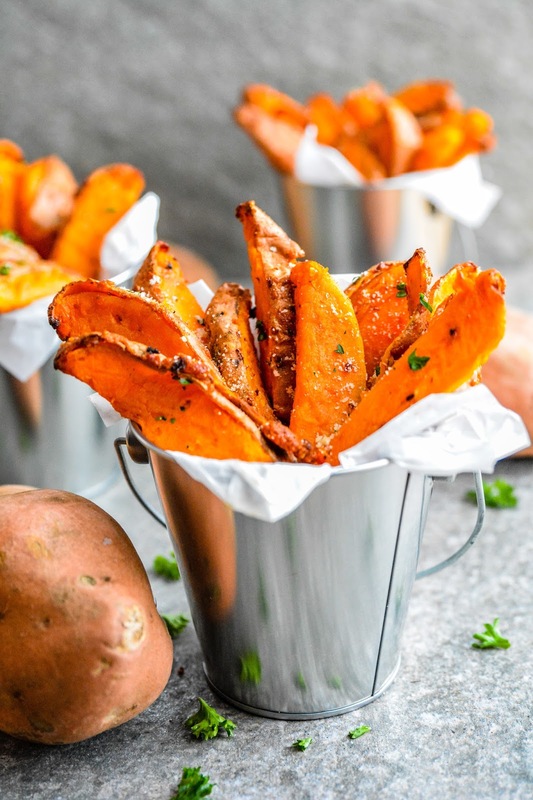 I have a sweet potato fascination lately, and have been craving some sweet potato wedges. When I saw the rotisserie basket, I knew right away that air fried sweet potato wedges were in my immediate future. I sliced the potatoes into wedges, tossed them with a little bit of avocado oil, sprinkled them with a touch of salt, pepper, and garlic salt, placed them in the rotisserie basket, and in 22 minutes my craving was satisfied. Once out of the basket I also sprinkled on some Parmesan cheese for a little extra kick of flavor. End result? Perfection! 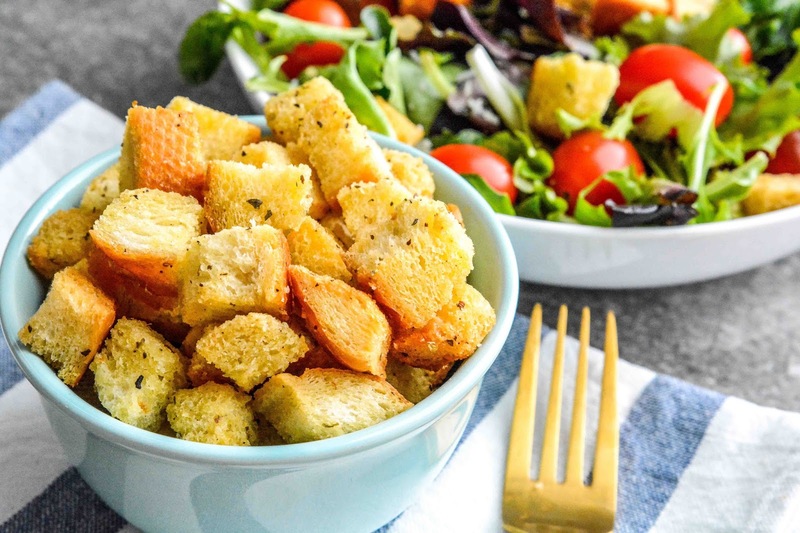 There are so many amazing recipes you can make in the Power AirFryer Oven. I also whipped up some homemade croutons, then dehydrated some kiwi slices. Next weekend, when Allison has some friends over for a sleep over, we are going to try making Unicorn Doo Doo Cupcakes. From breakfast to dinner to dessert, the Power AirFryer Oven does it all! Whether you are looking to eat healthier or just free up some kitchen counter space, the Power AirFryer Oven has you covered. It's never too early to start thinking about Mother's Day, and I think it would make for a really nice gift for mom. I'll definitely be adding it to my gift guide this year. 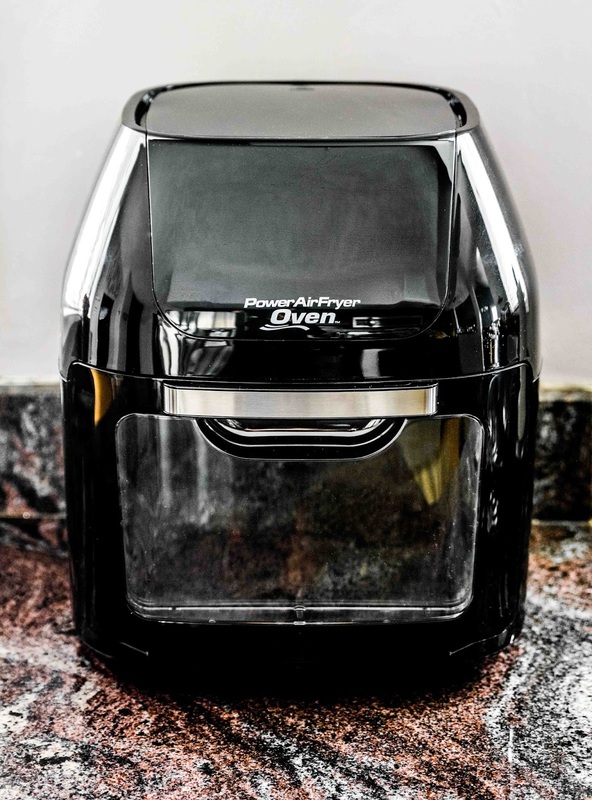 You can get your hands on your own Power AirFryer Oven at Amazon, Bed Bath & Beyond, and at http://www.powerairfryer.com/. 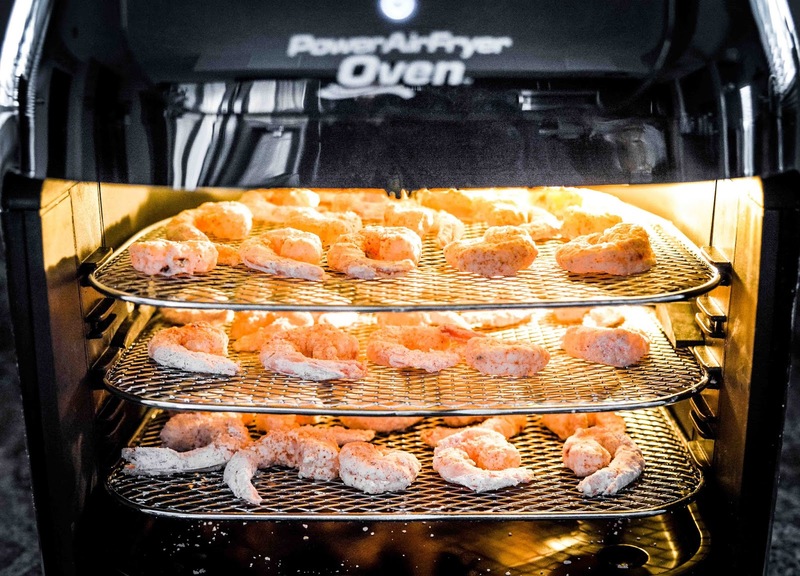 Air Fry, Dehydrate, or Bake, which feature would you use first on the Power AirFryer Oven? Look really gorgeous, state of the art piece of equipment! I hate the smell of frying so much that I cannot remember when was the last time I fried something. The smell of oil just makes me sick, I think it is one of the side effects of long vegetarianism. Most of fruit dried this way ain't tasty, I tried apples and bananas and they're nasty. I know! The house always smells horrible with grease fried foods. There's no scent when you air fry though. There is a recipe for sun dried tomatoes in one of the books. I was going to wait until this summer to try that recipe when I can grow my own tomatoes to use with the recipe. The fried onions will definitely be happening soon though. I think the key to dried fruit is to pick a really sweet fruit. Bananas are never good this way, but if you do kiwi, pineapple, mangos, they turn out delish. 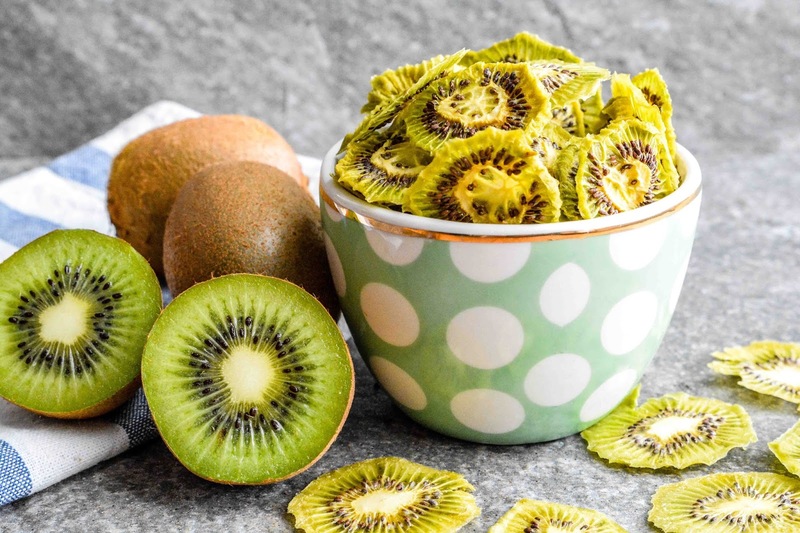 A great thing to snack on instead of candies. That sure sounds great for any kitchen. None of that nasty fried mess. Works as a microwave too? Guess it's a space saver as well. It's definitely a kitchen space saver. It's the size of my food dehydrator alone, so I was able to get rid of that and a few other kitchen gadgets since this is an all in one kind of deal. It definitely is, Adam. And, even though you claim not to be a cook, I think you and Daisy could easily whip up some tasty dinners with it. One of my other blogger friends has an air fryer and she loves it. It sounds like a good kitchen thing. I'm thrilled with mine too. The Air Fryers were such a hit at Christmas, I see these Air Fryer Ovens being a hot commodity this holiday season too. I can see why you don’t want to leave the house. That fryer sounds like so much fun. I’m mildly obsessed with sweet potato fries too. But all of the food you prepared looks amazing. Wow, that is the real deal! It makes the one I have look like an Easy Bake Oven! Now I have to upgrade my air fryer system, thanks for this! We really need to get one of those. 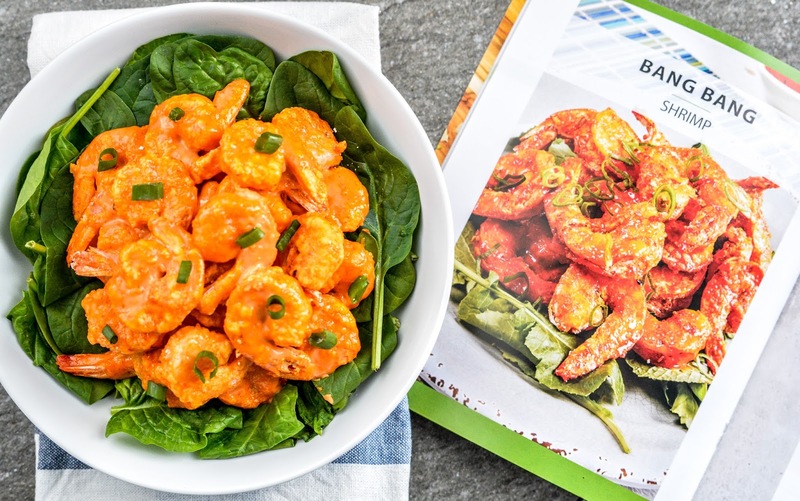 The Bam Bam Shrimp look AWESOME! That would be the first thing I would cook...Yum! But I have a question - what in the world are Unicorn Doo Doo Cupcakes???!!! LOL! You MUST post photos of them before the girls gobble them up!! I love homemade stuff, and I have been eyeing Air Fryer's lately. I really want one because I think that it would really help me make more things that the youngest child enjoys eating but in a healthier way! There are lots of things I'd love to dehydrate. How cool is this!!! 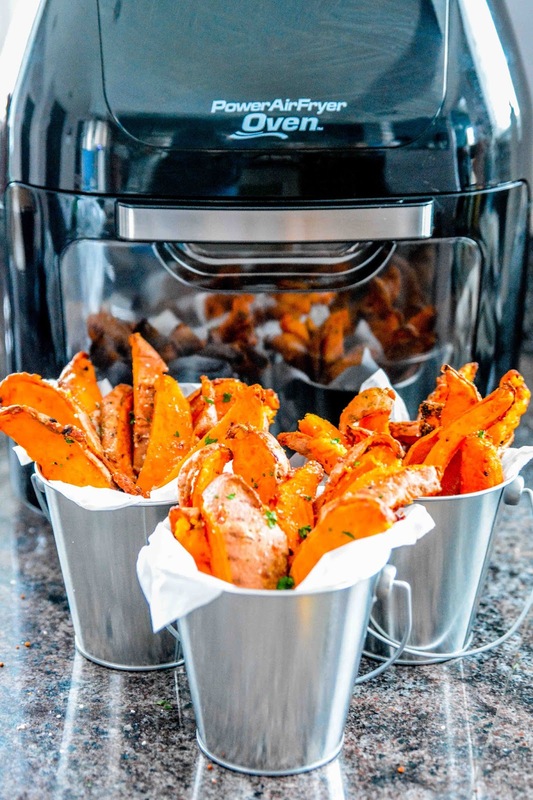 I love the thought of using an air fryer! With so many great recipes out there, it would be too easy to make meals for the family, and not trying to figure out just what to make in it. I've been so curious about air fryers recently. Now that I've seen your bang-bang chicken, I totally want to get one now! Wow, everything looks amazing!! I so want an air fryer too! Delish!! I've heard great things about air fryers. I like the recipe books too! I love that there's an air fryer oven which means more room for different recipes! I think it's a must have in the kitchen. I wouldn't mind having one of these at home. Just imagine how much healthier the meals will be without sacrificing the taste! I think it's awesome. My mouth is watering right now. These all look super delicious, I now need to own one of these in our home! My mom just broke her air fryer. I would love to get her another one! I have read many articles about it and soooo tempted to have one! Unicorn Doo Doo... I'm still trying to wrap my head around it. ;) I've never tried an air fryer, but I definitely am interested. More and more so each day, in fact. Heart problems are happening all around me in the family, and I don't want to add to them. hank you for this post. Thats all I are able to say. You most absolutely have built this blog website into something speciel... For more info helpful hints visit here get more videos..